There were a ton of different events held on the 17th – from book studies to Twitter chats and collaborative documents designed to end discrimination. You can see the full list of events here. Technology sometimes gets a bad rap for making us more isolated, but I love events like these, that would simply not be possible without technology. Just as we can use spray paint for destructive or helpful purposes, so too with technology. Check out the map of all the different events taking place on the same day! So neat! 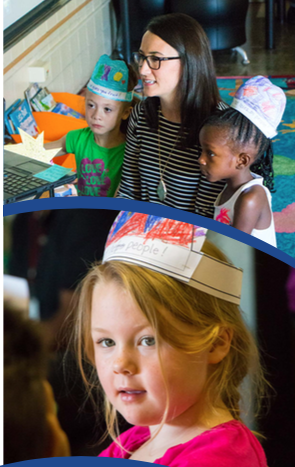 Cavanaugh STEAM Elementary – one of the schools I work with – chose to collaborate with classrooms across the United States around the book, Rosie Revere, Engineer by Andrea Beaty. The premise of the book is that Rosie needs to help her uncle, Zookeeper Fred, solve a problem. She designs a hat to help him keep snakes off his head. On Wednesday, Mrs. Stevens read the book to 1st grade students, and then we discussed it. We brainstormed some problems students had that could be solved by creating a special hat. Mrs. Stevens shared the hat she made and explained that she has a hard time seeing in the dark when she is taking her dog out in the morning. She has a big dog and it’s too hard to hold the leash and a flashlight. So, she designed a hat that lights up. Once students had their designs sketched out, drawing and creating was next! Students were very creative and excited to share their ideas with me! On Thursday, students were excited and ready to share their designs with seven different classrooms in Tennessee, North Carolina, and Mississippi. We used Google Hangouts to connect. It’s always so much fun to see students get super excited about seeing themselves “on TV” and sharing with others. Each classroom chose 4-5 students to speak and share their hats. Students everywhere were VERY creative. Some designed hats that held all their art and school supplies. Another student made a Buddy Hat. This hat let you blow a bubble, which turned into a buddy you could play with! Others wer more practical; one boy lives with two sisters and his house is always LOUD! He made a hat that muffles sound. This was the first Global Collaboration Day I participated in, but it won’t be the last. It is crucial for us as teachers to continue to provide these types of learning opportunities for students. Not only did they have fun, but they got to see students in other parts of the country. In addition, they got to make real world connections to what they read. As a STEAM school, we focus a lot on the arts, literacy, and the engineering design process. It was fun to bring all of those elements together! What about you? 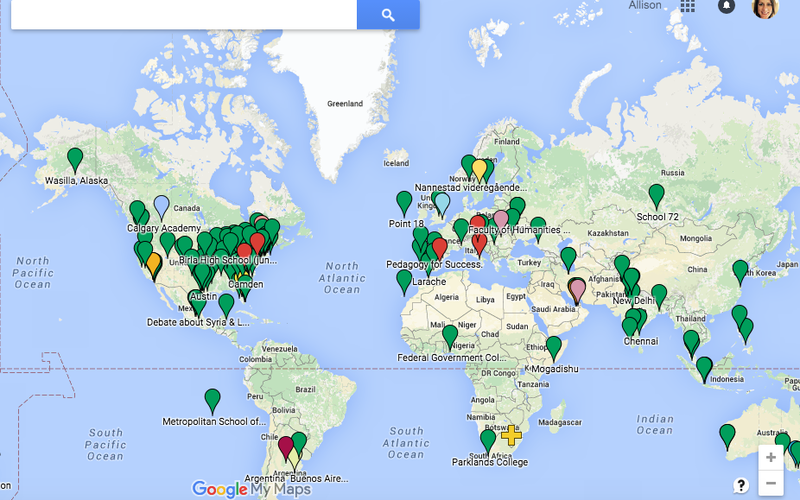 What did you or your school do to participate in the Global Collaboration Day?